(Bloomberg) -- One of Donald Trump’s attorneys recommended to the U.S. Treasury Department and the IRS that they not turn over to Congress the president’s tax returns until the Justice Department can issue a formal opinion on whether House Democrats’ request is legal. Neal, a Massachusetts Democrat, asked Internal Revenue Service Commissioner Charles Rettig on Wednesday to turn over the returns by April 10. Neal wrote that the committee needed the returns as well as audit records and other files associated with them to ensure that the IRS was following its policy of auditing the president’s returns yearly. But House Democrats have said they also wanted to see Trump’s returns as part of their broad investigations into his financial dealings before he was elected in 2016. An IRS spokesman and a spokesman for the House Ways and Means committee declined to comment. The Treasury Department and the Trump Organization, did not immediately respond to a request for comment. Jay Sekulow, another member of Trump’s legal team, said the letter does not indicate the beginning of a court fight, though it’s expected that the administration’s resistance would result in a legal battle that could last beyond the 2020 presidential election. “We’re not at the point where we’re having to evaluate litigation,” Sekulow said. Trump broke with 40 years of presidential-campaign precedent when he refused to release his tax returns as a candidate. He said he was under audit and that he would consider releasing them when the audits were complete. No law prevents the release of tax returns that are under audit. After the 2016 vote, his administration said he wouldn’t release the documents because Americans had elected him without seeing the returns. The House Ways and Means Committee, as well as the Senate Finance Committee and the Joint Committee on Taxation, can request the returns of any taxpayer under a 1924 law. Some legal scholars have argued that the requests must include a legislative purpose. The power has been used by both Democrats and Republicans. 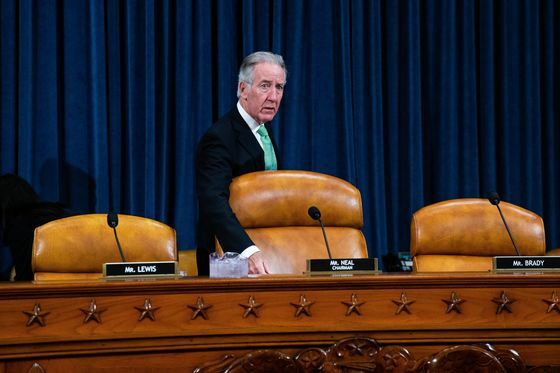 Neal argued in his request that his committee needed to oversee whether the IRS was performing its job to audit the current returns of any sitting president and vice president. “We are confident that this misguided attempt to politicize the administration of the tax laws will not succeed,” Consovoy said in a statement. Consovoy is a professor at George Mason University’s Antonin Scalia Law School. He clerked for Supreme Court Justice Clarence Thomas.